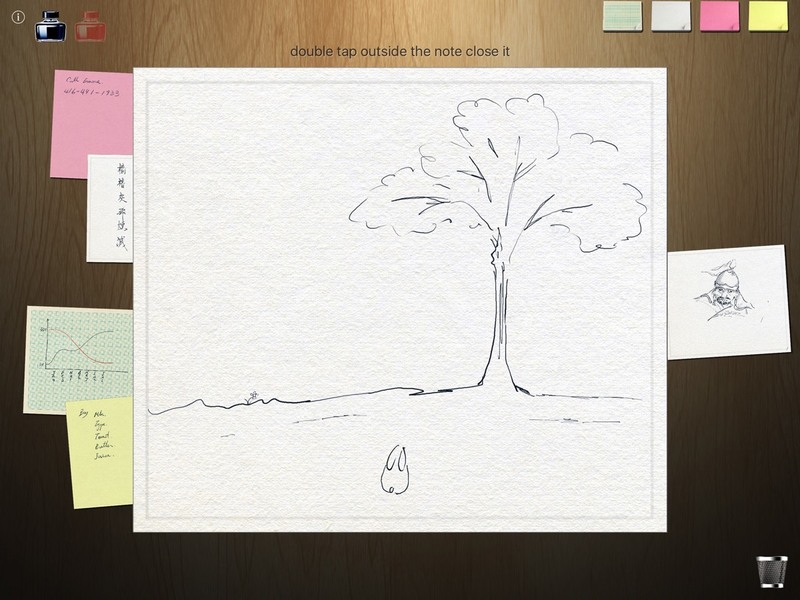 Gather your thoughts in a flash using Pencil Note! With support for the new Apple Pencil, you can create sticky notes and save them on a digital bulletin board. Choose from 4 different paper types: pink or yellow sticky notes, graphing, or cardstock paper and two pen colours: red or blue to create notes on the go. Keep track of important dates, lists and other matters in this handy app. 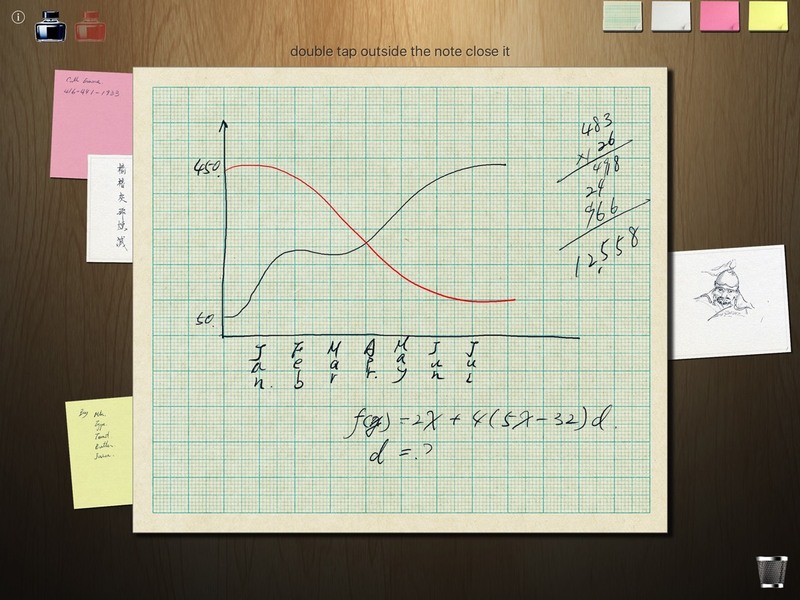 Apple Pencil support allows you to jot down notes like you would in reality. Pressure sensitivity gives you the option to not only write, but draw. Applying more pressure with the pen creates thicker lines. Use Pencil Note to write or draw out ideas and always have them on hand! - Create and keep track of notes using this handy digital bulletin board. - Move around notes to help you organize your thoughts to commit them to memory. - Use red or blue ink and choose from 4 paper types to make differentiation easy. - Draw or write! The Apple Pencil support allows you to further enhance your notes, but you can also draw designs with your fingertips. - Simple controls! Tap on a paper to create a new page and tap away from a note when done to minimize and then move it around the bulletin board. - Throw away old or outdated notes using the waste basket icon to keep everything neat and tidy! 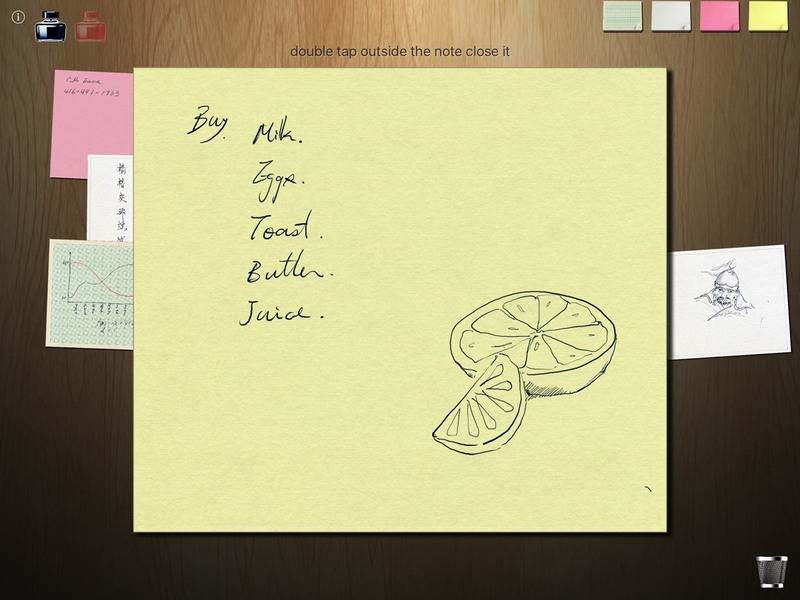 - Keep an eye on all of your notes with a quick glance! Organize your day and your thoughts in a snap!